Success! Peris from Kenya raised $816 to fund a mastectomy. 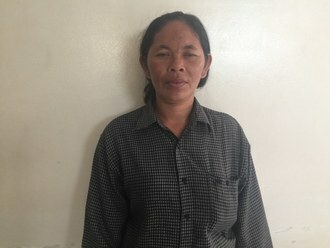 Peris's treatment was fully funded on July 9, 2018. She has been discharged and is scheduled to come for clinical review and further medical treatment. The surgery reduced the chances of further cancer metastasis. Peris is a farmer from Kenya. She is married and a mother of a three young children. Peris and husband farm together in order to provide for their children. Peris has been diagnosed with breast cancer. Without treatment, the cancer may spread to other organs. A mastectomy, a surgery to remove breast tissue, has been suggested to rid her body of breast cancer and to prevent the cancer from metastasizing. Our medical partner, African Mission Healthcare Foundation, is requesting $816 to cover the cost of a mastectomy for Peris. The procedure is scheduled to take place on May 22. After treatment, Peris will hopefully return to a cancer-free life. Peris's case was submitted by Joan Kadagaya at African Mission Healthcare Foundation in Kenya. 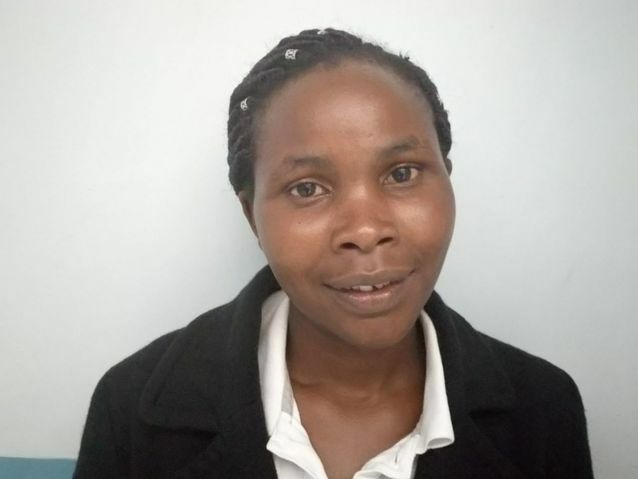 Peris was submitted by Joan Kadagaya, Curative Medical Support Program-Partner Representative at African Mission Healthcare Foundation, our medical partner in Kenya. Peris's profile was published to start raising funds. Peris received treatment at AIC Kijabe Hospital. Medical partners often provide care to patients accepted by Watsi before those patients are fully funded, operating under the guarantee that the cost of care will be paid for by donors. Peris's treatment was successful. Read the update. Peris's treatment was fully funded. A mastectomy is a surgery to remove the breast or part of the breast and is usually performed to treat breast cancer. Common symptoms of breast cancer include a lump or swelling in all or part of the breast, skin irritation or dimpling, pain, discharge, redness, and thickening of the skin. If breast cancer is not treated, the cancer may spread to other organs, potentially leading to early death. Untreated breast cancer can also lead to pain and infection within the breast. Breast cancer is the leading cancer in women in Kenya (34 per 100,000). It has been identified as the number one killer of women aged 35-55 years. Late diagnosis is the main reason for high mortality. The patient reports to the hospital, and lab work is done. The following day, the patient goes into the operating room for surgery. The patient stays in the hospital ward for three to seven days. The surgery is considered a success if the wound heals cleanly. The patient is then discharged from the hospital. This treatment is curative if the cancer has not spread widely. Usually, this surgery is not performed if the cancer has already spread. Sometimes, doctors are unable to determine if the cancer has spread until they perform post-operative lymph node testing. There are very few side effects or risks if the condition is diagnosed and treated before the cancer has spread widely. In Africa, there is limited capacity to treat breast cancer. Many cancers are diagnosed in advanced stages due to the limited number of diagnostic and treatment centers. For early-stage breast cancer, a “lumpectomy” surgery may be adequate. Additional radiation therapy will be required for cancer that has spread to the lymph nodes.